1920 x 1080 resolution with native 1080p support to showcase your games and HD movies with impressive color and clarity. Energy-efficient LED backlight. Backed by 8GB GDDR5 dedicated video memory for a fast, advanced GPU to fuel your games. G-Sync and DirectX 12 technologies produce detailed, realistic images for your games and videos. Thin and light design with DVD/CD drive omitted for improved portability. 4-cell battery. Supports SD, SDHC, SDXC, miniSD, MMC and RSMMC memory card formats. Enjoy a clear picture during video chats with your family and friends — or with gaming allies and enemies. Scrolling touchpad with multigesture support. 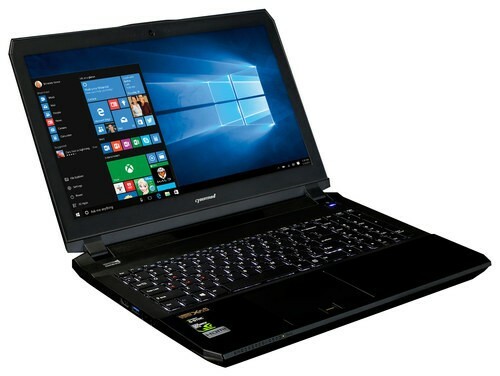 Click the button below to add the CybertronPC - Matrix 15.6" Laptop - Intel Core i7 - 16GB Memory - 1TB Hard Drive + 120GB Solid State Drive - Black to your wish list.